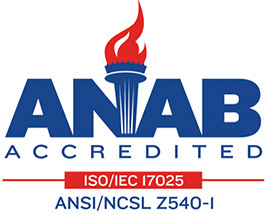 The Bowman Full-Service Standards Laboratory is ISO/IEC 17025 accredited for calibration. View our Scope of Accreditation and our Certificate of Accreditation. ISO/IEC 17025 standards are the strictest in the industry. When Bowman XRF technicians certify your equipment, you’ll meet the highest standards required by any customer. Bowman technicians service and repair all benchtop XRF system brands and models, including Fischer, Hitachi / Oxford, Seiko, CMI and others.